During my residency, one of our interns committed suicide. We were all surprised, shocked, devastated, and heartbroken. After all, this intern was beautiful, athletic, incredibly smart, and had just matched for a national top residency program. Unbeknownst to us, she was struggling with depression, and overdosed on phenobarbital from one of her patient’s prescriptions. Since then, 2 veterinary colleagues I knew personally have taken their lives, one by gunshot and one by euthanasia solution. I believe that, at some point in life, everyone has considered suicide. I believe that, at some point in life, everyone has considered suicide. After all, life can be a struggle, and sometimes we get a few too many “hits” in a row that push us over the edge toward sadness and despair. I know, as I struggled with insomnia, depression, and thoughts of suicide during an all-time low point during my residency. So when a study reported that UK veterinarians had a higher suicide rate than the normal population—up to 4 times higher than the general population and 2 times higher than healthcare professionals—it rocked our veterinary community.1 Then the story went viral and global (receiving broadcast media attention),2-6 putting veterinary schools, the AVMA, and state veterinary boards on the alert. While we don’t want erroneous rumors going viral, the attention was important because it made us aware of the under-recognized “darker side” of our profession. Our workaholic, high-achieving personality types with such potential traits as neurosis, conscientiousness, and perfectionism (which are all risk factors for suicidal behaviors). Our high-stress level, beginning with attempts to enter veterinary school; the pressure to succeed in school, graduate training, and a work environment with intense psychological demands and expectations from employers and clients; long working hours; poor pay compared with our human medicine counterparts; significant financial debt; poor support networks; high likelihood of burnout ... the list goes on, right? Our belief in quality of life and the concept of humane euthanasia to alleviate suffering—with ready access to these drugs. The isolation encountered by many veterinarians, working solo with few outlets for healthy commiseration. In a recent study, authors surveyed SCAVMA members, licensed Alabama veterinarians, and U.S. veterinary association executive directors.7 The results? Depressing. Of all respondents, 24% had considered suicide since starting veterinary school. That’s one in 4 of us, folks! 1. The scientist in us often does not want to admit to the “weakness” of mental health disease. We’re pretty unaware of our own mental health, putting us at higher risk. 2. We’re caring and compassionate, and we work hard to save lives, contributing to compassion fatigue only to have pet owners make us feel like we’re greedy and selfish for trying to make a living. 3. We have terrible work–life balance. Most of my colleagues, like me, are workaholics, leading to physical fatigue and strain in our personal lives. We need to take care of ourselves and each other. There are actually support groups out there for veterinary professionals (what I call “Bible Study for Vets”) that provide outlets to talk about stress and burnout. Seek existing support resources such as a pastor, physician, counselor, psychiatrist, family—even a suicide-prevention line. More importantly, ask colleagues how they are really doing. Take time for yourself: go on real vacations (not veterinary vacations); read fun, nonveterinary books; stop learning just for a bit; exercise; and start a fun (nonanimal-related) hobby. 1. Veterinary surgeons and suicide: a structured review of possible influences on increased risk. Bartram DJ, Baldwin DS. Vet Rec 166(13):388-397, 2010. 2. 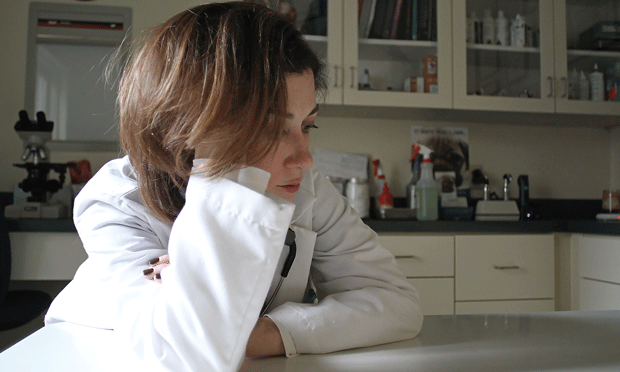 Veterinarians prone to suicide: Fact or fiction? DeGioia P, Lau E. VIN News Service (May 2011); http://news.vin.com/VINNews.aspx?articleId=18511; accessed Dec 2012. 3. U.K. suicide study prompts calls to act. Tremayne J. Veterinary Practice News (May 2010); http://www.veterinarypracticenews.com/vet-cover-stories/uk-suicide-study-prompts-calls-to-act.aspx; accessed Dec 2012. 4. Paper delves into British veterinarians’ high suicide risk. Watkins T. (March 2010); http://articles.cnn.com/2010-03-26/world/england.veterinarians.suicide_1_suicide-risk-suicide-rate-suicidal-behaviors?_s=PM:WORLD; accessed Dec 2012. 5. Suicide: Conspiracy of Silence. La Jeunesse C. (2012); http://www.wsvma.org/displaycommon.cfm?an=1⊂articlenbr=495; accessed Dec 2012. 6. Veterinarians more likely to commit suicide. Khuly P. USA Today (April 2010); http://usatoday30.usatoday.com/life/lifestyle/pets/2010-04-02-dolittler02_ST_N.htm; accessed Dec 2012. 7. Failure to acknowledge high suicide risk among veterinarians. Skipper GE, Williams JB. J Vet Med Educ 39(1):79-82, 2012.